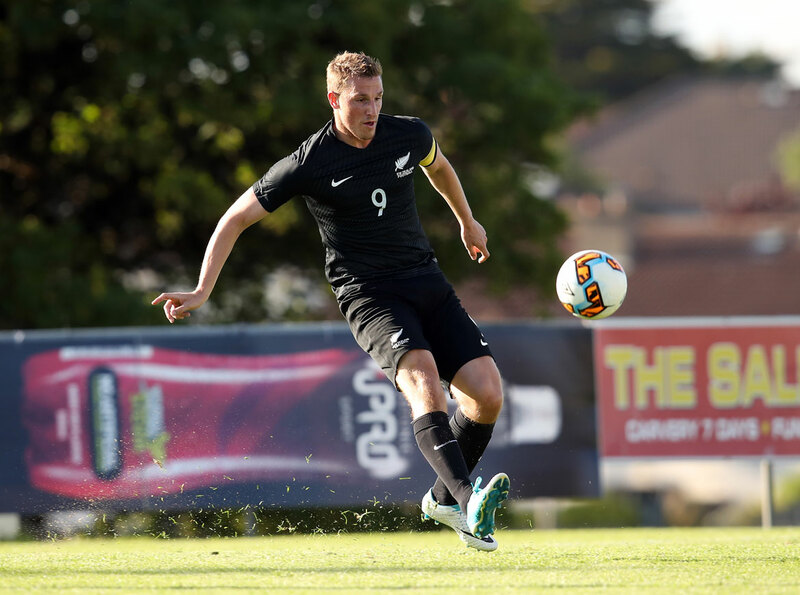 All Whites skipper Chris Wood believes his team is going to turn some heads at the FIFA Confederations Cup, but first they have one last preparation match to knock off. The 24-year-old striker will lead his team out at Traktor Stadium in Minsk tomorrow night (Tuesday 4am NZT) to face Belarus in their final international friendly before they open the ‘Tournament of Champions’ five days later in St Petersburg. Wood feels the World No 83 Belarus, who two nights ago defeated Bulgaria 2-1 in a World Cup Qualifier, will present a similar challenge to Russia. They are a big strong physical team with expertise at set-piece and the Leeds United forward is expecting a tough challenge. “They had a good win and we expect they will be full of confidence leading into this game. It is going to be tough but we will be ready,” said Wood. All Whites coach Anthony Hudson said this international friendly – notably the first-ever A international between these two countries – will help confirm his final thinking for the opening game against Russia. “This is another really important 90 minutes under our belt,” said Hudson. Wood believes the training camp in Ireland where fitness was the main priority, and the 23-man squad put in a number of gruelling sessions, is going to pay dividends in the next two weeks. He said the team are fitter, stronger and more organised than they were in their opening game of the tour – a 1-0 loss to Northern Ireland in Belfast – and they want to show that tomorrow night when they play Belarus. The focus is on Belarus and delivering a big performance, but in the back of the team’s mind is the opening game of the ‘Tournament of Champions’. The Russian locals are expected to come out in numbers at the first official match at the Krestovsky Stadium in St Petersburg. It is a stadium that has been 10 years in the making. “It is going to be a really special occasion [walking out to that atmosphere],” said Wood. “This is what we do all of the hard work for. This is what we do all of the hard games in the Islands for. Wood has no problem with the little expectation on his team leading into this tournament. He believed the Kiwi qualities of this All Whites’ side will be clear to see when they compete on the world stage. “That doesn’t bother us one bit [if people don’t expect much from us]. People write us off. They can say what they want to say about us but the boys in here and the staff know that we are a good team and we will turn some heads at this tournament,” he said. Next PostSerritslev: "We'll die with the boots on"
Serritslev: "We'll die with the boots on"